Continue to pursue ways to lower the costs of traveling the 14-mile Dulles Greenway. Testified at the Board of Supervisor’s 2017 Housing Summit and continue to advocate for the incorporation of different housing types that are affordable to the workforce in Loudoun County. Worked to change legislation that would have severely limited your ability to place Open House signs to market your client’s property. 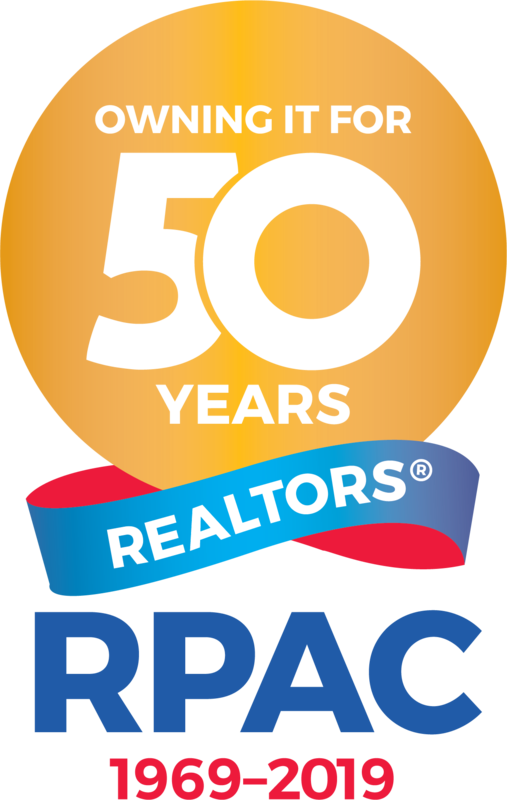 DARPAC supports officials (regardless of political party) who support REALTOR® issues. DAAR’s Government Affairs Committee meets monthly with local and state lawmakers to discuss and raise awareness on issues of concern to the real estate profession. Strengthened the requirement that resale disclosure packets be delivered within 14 days. Added statements to advise purchasers to research easements and other restrictions on prospective properties. Advocated for formal licensing of home inspectors to standardize training and compliance in that industry. Virginians are able to place funds in a bank, mutual fund, brokerage account, or almost any other investment and declare them first-time homebuyer savings plan accounts to be used for down payments and closing costs on first homes in Virginia. The MID is a remarkably effective tool that facilitates homeownership. Working to ensure that its viability is not compromised. Continued to work in Congress to strengthen this critical program and to ensure it is reformed and reauthorized. Jim Stakem, Re/Max Select Properties Inc.
Phyllis Stakem, Re/Max Select Properties Inc.
Brenda MacEoin, ERA Teachers Inc.
Michelle Campbell, Long and Foster Real Estate Inc.
Glenn Stakem, Re/Max Select Properties Inc.
Lee McGinnis, Long and Foster Real Estate Inc. Contributions to Virginia REALTORS® RPAC are voluntary and are used for political purposes; they are not deductible for federal or state income tax purposes. Members may contribute more or less than the suggested amount and may refuse to contribute without reprisal. The National Association of REALTORS® or any of its state associations or local boards will not favor or disfavor any member because of the amount contributed. NAR has established state Federal RPAC Disbursement Allocations based on anticipated National RPAC needs. Thirty percent of all Major Investor contributions are sent to NAR to be applied to the Federal RPAC Disbursement Allocation and are charged against the limits under 52 U.S.C. 30116 with the remaining seventy percent maintained for state and local usage. Decisions regarding Virginia REALTORS® RPAC contributions to meet the Federal RPAC Disbursement Allocation will be made throughout the fundraising year.